Casabella is an exciting 9 piece Latin-Beat band that has been rocking festivals, dance floors and clubs with its vibrant songs and groovy rhythms.With musicians from Europe, South America, the Caribbean, Asia and Africa, the word „fusion“ takes real meaning with this colourful, young, and soulful band. Gigging regularly in the London circuit and festivals, Casabella is finalizing its first CD which is due for release in 2009, with a repertoire of new songs written by lead singers Gianni and Sam. 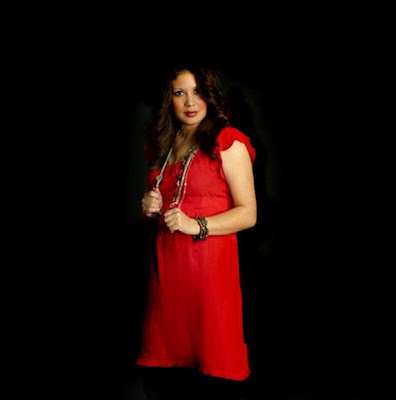 Casabella's e­nergetic live performance has something for all tastes: pop, Latin, Brazilian, reggae, all with a jazzy flavour given by Jivana on Trumpet and Kim on Sax. The main influences for the drums and percussion section are Cuban, Brazilian and afro beat and they have proven to get even the shyest of spectators grooving on the dance floor!!! 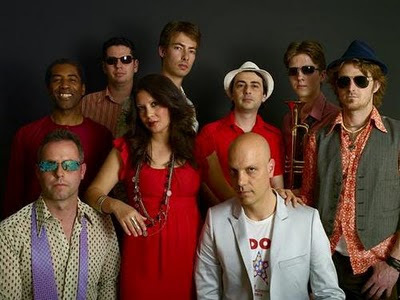 Casabella were formed in 2007 and started by Italian guitarist and vocalist Gianni Rossi, vocalist Samantha Grant of Anglo-Burmese descent and New Zealand keyboard player, Michael Lloyd.They began to write a mix of Latin fusion music taking in all of their influences from rock, pop, reggae, afro-beat to Latin and began gigging around London. 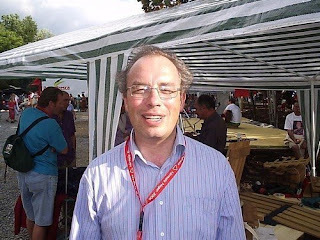 During one of their performances they met Thierry Deneux a French drummer and percussionist who after hearing their music for the first time wanted to join the band immediately. This 4 piece then continued writing, performing as well as going on to meet new band members South African bassist Winton Palmer, French trumpet player Jivana Hunt, Jamaican percussionist Derek Ferguson, Brazilian percussionist Manitu Szerman and saxophonist and percussionist Kim Eersel of French/Moroccan parentage to complete the 9 piece line-up. Where did such distinct musicians meet? Gianni as a musician playing Afro and Latin music, and Samantha, formerly pop and rock singer? Gianni: You will be surprised but Sam and I came from a similar music background and generation time. I started playing in bands since I was 17 doing all sorts of alternative, indie rock music. 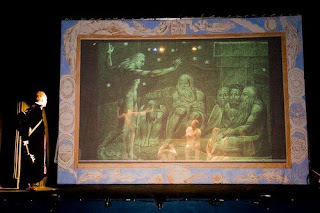 Just after I started SY meditation in Italy I had the desire to compose music for live gigs where the audience could dance and feel happy. When I came to London I started playing in an indie music band but soon I decided to start my own project and I was lucky to met Sam, who is my wife's childhood best friend, and it just flew magically. Sam: Like Gianni I have been in bands since the age of 16. 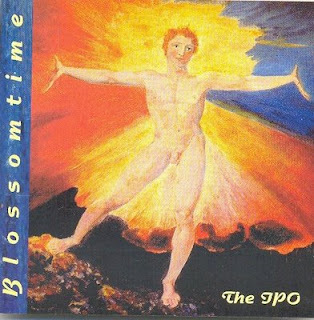 I was singing in a new wave rock band until my early twenties and gigging around London. I have also been in many musical projects over the years from my own album ‘SAM’, to TV work, to all types of music ranging from dance, pop, rock, to ambient music. Singing, writing and performing from a young child has always been a passion of mine and is in my blood. When I started to meditate I was looking for a new direction, something deeper, music to touch people. We formed the ‘SAM’ project working with 3 other yogis and when that project came to it’s natural end I wanted to try a new style of music, something I hadn’t done before. By chance I met Gianni who is married to my best friend. We jammed and we just seemed to gel vey well musically. Gianni’s cool latin style mixed with my western melodies just seemed to work. It was the start of Casabella and I knew we were onto something special. Casabella´s music is lively, raging and wild, it bears spontaneity of Latin American music, it is a mixture of all possible genres and it brings the joy of dance and motion. Do you compose songs together, or do you complement each other or are the songs the individual work of each of you? Does the band have its share on the songs? Gianni: I had quite few songs that I wrote in Italy and Sam arranged them and added her singing style and translations in English. Then we wrote new songs together very spontaneously. I respect Sam very much as an artist and person and we share ideas and listen to each other suggestions. The songs were quite strong just acoustic but without the whole band we could never have reached the level that we are now. Sam and I leave the band members to express themselves and they add their own creativity in every single song. Sam: It was very inspiring to be free to express myself and add and arrange my own parts to Gianni’s already existing songs as I could hear that they were already very good. I too respect Gianni’s musicianship and when we started writing songs together it just seemed effortless and the songs just worked. As Gianni has said the band add their own creativity to each song. With all these elements it has helped us to get to this level and when we are one the vibrations just flow. How did you get to music and playing? What were the grounds of your music? What did influence you? Gianni: I started playing guitar when I was 15. The first LP I bought was “Ummagumma“ by Pink Floyd and we went to listen it in a dark room with my brother and friends to listen all the special effects on that album. As a teenager I was into Deep Purple and Led Zeppelin but I kept on following the new music coming, so I went through west coast, country, Brazilian music, jazz, blues, blues rock, rock, punk, new wave, garage rock, reggae, ska, afro beat, indie rock, grunge - you name it. I had a lot of heroes when I was young but now I think it is just a projection of your mind - we are all human. Sam: I started singing as a child in my bedroom and writing melodies and songs from about the age of 7, I wanted to be a DJ and I used to record my songs on an old tape recorder and pretend to play them to the nation!! As a child my cousin’s and I used to hold concerts for our parents and perform songs we’d written together, it was fun. My first serious influence was the SKA movement. I just loved the energy and the style of the bands. I then got into punk and new wave with bands like The Clash and Blondie. Then when I was about 13 I saw U2 on the tv and was completely blown away. Their passion and connection with the audience was something I’d not seen before. The ‘War’ album had a massive affect on me and I knew then that I wanted to be writing and performing in a band. You give a lot of concerts and let know about yourselves. That is very good. Your profile on Myspace is one of the very extensive and now you have already your own EP disc. Do live concerts give you the feeling of satisfaction and fulfilment? Gianni: We are 7 yogis in the band plus 2 non yogis that have experienced meditation but they are not practicing. Well, you know most of the time when we play live we are like one, very strong, it is like taking a pill of happiness we all feel really good after a gig and the audience too. There is a lot of work done behind the scenes to manage a 9 piece band and to build what we have achieved so far. There is a lot more to do but I am trying to be detached as much as possible. We are also working on some afro dance choreographies with 2 yogini to add more to our live performances. Sam: Yes our drummer once said ‘a Casabella gig is like taking a happy pill’. It is such a good analogy. He is not a yogi but for him to feel the joy inside each time we perform is amazing. It means that we are touching people, we feel good and so does the audience. It makes all the hard work worthwhile. Working with 7 other yogis in the band gives us a real strength. I can feel the collectivity and the feeling of being one. The 2 yogini dancers will also add something very special. 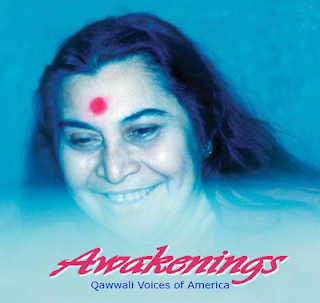 Does Sahaja yoga play any role in your music and a musician life? What are your plans for the future? Gianni: If you listen to the lyrics they reflect the essence of sahaj. I would like to represent a life style out there in the world where it is possible to live and enjoy yourself without drinking and taking drugs. Meditation is the only ways to keep your subtle system clean and be able to get the most from your life. 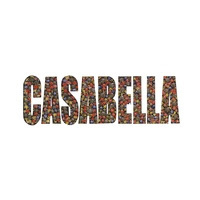 Casabella name is dedicated to Cabella village in Italy and that is the root where most of us are coming from. I would like that we can break through the minds and conditionings of people to help bringing a new era in our planet, together with every single project that Mother is working on, where we all have a role. Sam: Sahaja yoga plays a very big role in our music. 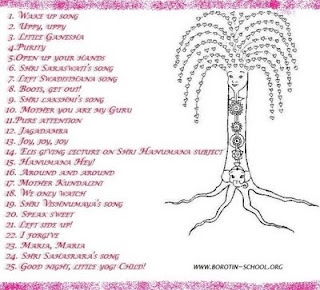 The lyrics are sahaj and with our music we want to tell people about another way of living, a life of peace with complete joy and self awareness as the spirit. A life does exist without stress and the need for alcohol and drugs. If we surrender we can be touched by the divine vibrations. “If anyone out there wants to support Casabella, for gigs or helping to promote Casabella music, please get in touch with them through this radio station. Casabella's CD is available on Itunes and CDBaby”. Dear listeners of the sahaja radio, after our shorter holiday break we are back with new CDs which you can listen to on our radio. 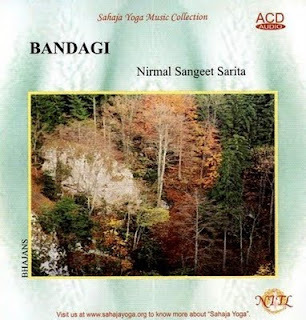 We will again bring irregularly new CDs of sahaja artists in the order how we will get them. 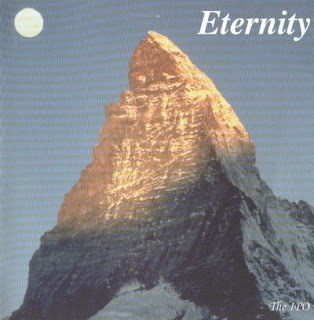 We will have a look back to the records which were released many years ago, for example the first one we are offering you are Eternal Roots. The album was a result of creativity and spontaneity of the students of the Musical Academy of P.K.Salve. 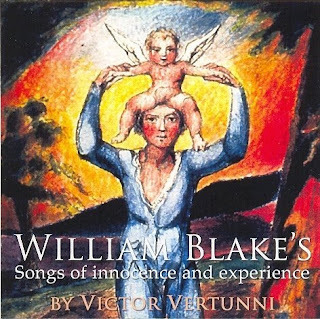 After all those years it is interesting to read the review on this album which was then published on the Internet and some of you, who haven´t listened to it, will have the opportunity to listen to some songs in our broadcasting. We are preparing other albums too, so stay with us and listen to us!!! When we talk about World Culture these days, we usually mean cultural imperialism, the Americanization of the globe. World Culture seems to indicate something so popular that it can only possibly appeal to the lowest common denominator , broad and gross.. World Music, on the other hand, is something quite different. This is more than just another category in the record shop. It didn't come out of the head the marketing executive. It came out of our need to know about our neighbours. And ourselves. 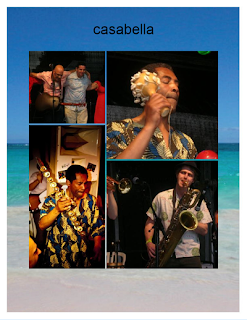 With World Music, there is a respect for the sound, the instruments, the musicianship that comes from another land. It is a festival, a fusion, a romance. Here a sitar is a sitar and doesn't need to be restrung for Western ears. This is not the Coca-Cola-ization of the planet. 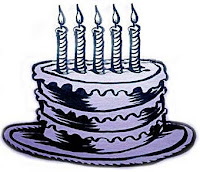 It is the celebration of many tastes. 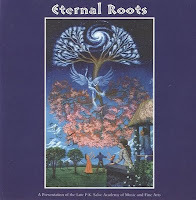 And so it is with a new CD called "Eternal Roots"? With a chorus of voices from several countries, the musicians of the PK Salve Academy of Fine Arts and Music are reaching back to a common heritage of this one planet. Touching the earth at their school in the heart of India, the musicians' stylings roam freely, but always come back and make reference to the classical forms of the subcontinent, as if finding themself in the other. Eternal Roots begins and ends with Indian raags. These are deep, yet unadorned, classical movements played on a sarod and a santoor respectively. 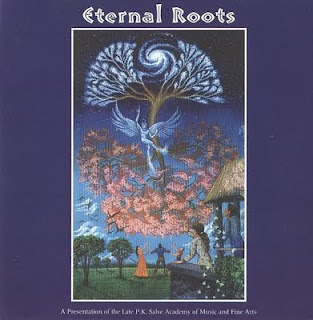 These are the musical roots, the basis for all our music, eternal, where we came from and where we are going. In between, like seven pearls on an anklet, there is the music of that journey around the circle. 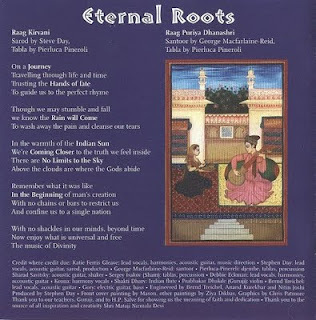 Played mostly in a Western popular style still, but imbibed with a Eastern depth and spiced with a masala of sarod, tabla, santoor, Indian violin and even a didgeridoo, the seven intervening tunes are, most simply, spiritual music. This is not the music handed down by a church, sung for generations without meaning, but it is spiritual music that looks inside. It introspects and comes up with something. It describes journeys that never end, that are intimately personal, at the same time universal and collective. In "Hands of Fate" Stephen Day expands: Between the ancient and the modern On a collision course with time… Trying to hold on to tomorrow Trying to hold on to yesterday , when it´s gone. We all know these travels that seems to have no resolution, trekking across a continent and not finding anything so much as our own home in a backpack of memories. 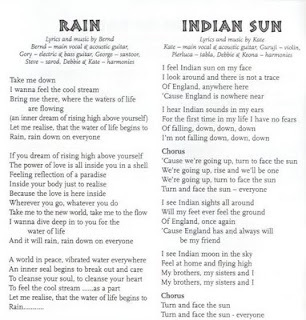 Katie Ferris Gleave sings of the "Indian Sun": I see Indian sights all around. Will my feet ever feel the ground Of England, once again? ‚Cause England has always and always will be my friend. But there is a peace, a discovery and a resolution at the end of this journey. I would venture to say that it is because this music is rooted. There are strong guitar chords that make us feel at home. 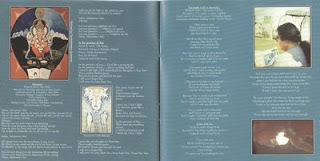 And there are harmonies and lyrics that are narrative, a diary of the trip. Like an impressionist painter who can improvise only because he really knows how to draw, these musicians can shape their music in popular Western conventions because they have tasted the real music, the raags, the scales, the eternal roots. 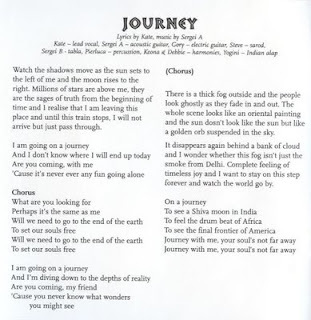 After descriptions of cobras and monkeys and blue-skinned gods, after prayers for rains of peace and the advent of love and a sky without limit, there is one haunting passage from that same song, 'Journey?. It tells us of a: Complete feeling of timeless joy …I want to sit on this step forever and watch the world go by. Everything, everywhere in one moment, in one place. And peace reigns. Yes. And then comes the santoor. George Macfairlaine-Reid plays "Raag Puriya Dhanashri" to take us back to where we started. In this Global Village in which we are all destined to live in each other's backyards, it is that music which spills over the garden fence by which we will better come to know our neighbours. 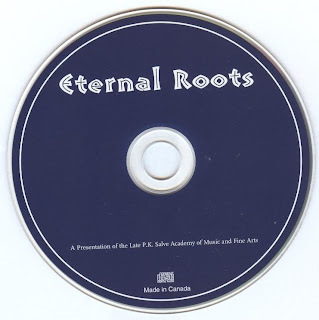 Eternal Roots not only allows us to hear those sounds, it set out to carefully dismantle the fences. The guitar – it is the instrument which makes listeners´ hearts vibrate. The guitar can be loud in rock music, quiet in folk music, rhytmic in latin music or challenging in flamengo. But on this radio we woul also like to introduce another kind of guitar. It is the classic guitar that plays music of old masters. The interpretion is different, it is mild and chamber maybe because the reason it is being played for. 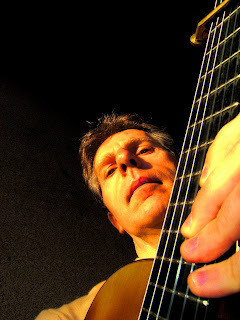 Daniele Ferrari, an Italian Sahaja yogi is one of this guitar players. 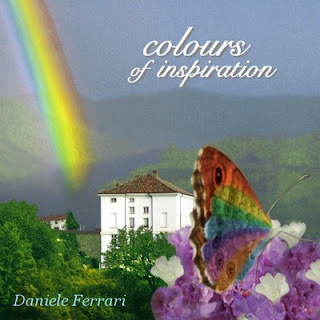 We would like to introduce his two very nice CDs – Colours of inspiration and Nell´immenso Immenso. Daniele, could you tell us something about yourself? I live near Milan, in the north of Italy, 150 km. far away from Cabella. I’m very lucky to live not so far from this very important place for the spirituality of human beings. As for me, Cabella represents also a big source of inspiration. I think music is my main commitment, even if I have a different job. How did you get to the classic guitar? Is it difficult to master this instrument? Music is a passion deeply rooted inside me. It was like this also many years ago when I used to play rock, very hard rock. As time went by, I started to broaden my musical knowledge. For this reason I began to listen different kinds of music like jazz, classical music, world music and fusion. Obviously I changed gradually the way I play and “make music”. I had experiences with electric guitar, with acoustic up to the classical one. As a matter of fact, at present I’m able to play all these types of guitars (as heard in “Colours of inspiration”) but I play them in a different way from the past time. I’ve always been a self-taught person, also when I started playing the classical guitar. 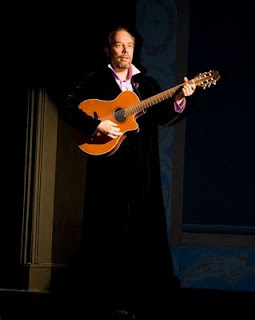 Big masters of the classical, flamenco and brazilian guitar are my “guiding lights”. 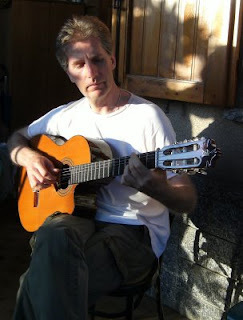 Difficulties in learning the technique of the classical guitar are similar to those of many other instruments. Everything depends from the aims to achieve and from the time devoted to the instrument. What can you remeber about your coming in Sahaja yoga? Your CDs were in Cabella. 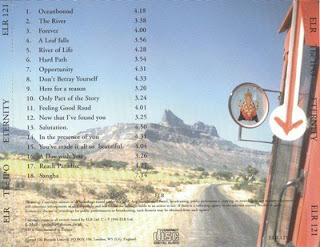 There are most your songs on the older album but also a nice version of "Vishva Vandita" or "Mataji Mataji". How did you get the ispiration for musicalizing these two pieces? 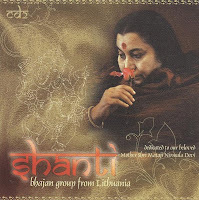 “Vishwa Vandita” has a very intimate and profound melody. It’s one of the most beautiful bhajan at all. 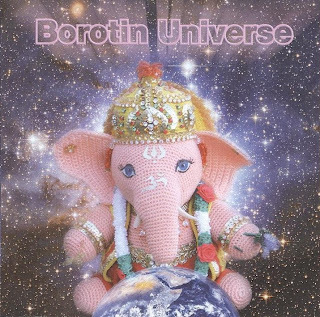 I often played an instrumental version of it during Pujas or public programmes. One day someone told me:” You should record it. It would be enough to make a good cd”. I took the advice, adding many others of my pièces. Regarding “Mataji Mataji”, I thought it could be the best conclusion for the cd. This represents my greeting, my thanks to Shri Mataji, who accompanied and inspired all my work. Is it dificult to make music for classic guitar? Where do you find ideas and what motivates you? As I told before, I think learning an instrument is like a long path to pass through to get the technique and the musical expressiveness. As for me, it’s a long path with no end: it’s always possible to learn new and exciting things. I never forced myself to create something new. It’s of no use! The creativity starts spontaneously. For example, sometimes I begin with an improvised arpeggio and at a certain point this one “sounds good”. From this point starts my seeking: I feel this is the sign for the birth of something new and more complex. This new composition could grow a lot in a day, but then it could be ended in one year or two. I never compose chronologically, one pièce after another, but I create groups of tracks which grow in parallel, altogether. I don’t have any good reason that pushes me to create. It’ s rather a need that I had always had: to express myself through the music. The inspiration becomes easier if it comes from Mother Nature with her beauty and her infinite aspects. The record Colours of ispiration is different from the previous one. You are surrounded by other musicians and other instruments. What was it like to make this album together? I take this opportunity to thank them all, because it’s thank to them that this work has become more “colourful” and dynamic. 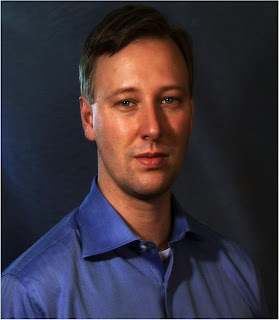 Everyone has had the total freedom on how to perform and integrate the various tracks. It was funny to compare each other and to realize how the music can mix and mingle everything and everyone. 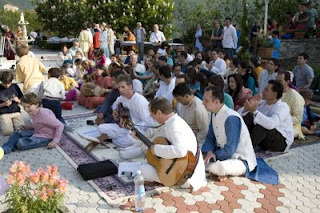 All these musicians had an experience in Sahaja Yoga, so the mutual understanding was simple and amusing. I was attracted by titles "Meditation" and "Kundalini Movement". Can you describe them more? 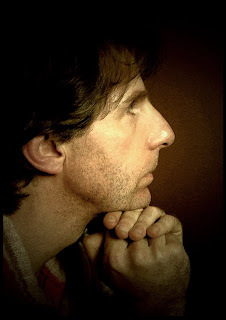 The track “Meditation” has an andamento lento like the thoughts which slow down before entering in a meditative state. On the contrary “Kundalini movement” was born thank an improvisation made together with Tiziana, who was playing the armonium during a Kundalini Puja. The track has been transformed along the time until I reached the final version, recorded in the CD. Your music is suitable for evening meditation or just for time of relax with a candle. It has got the power to bring listeners to the state of relaxing. What is the meaning of this kind of music for you and what would you like to say to listeners with your music? The meaning of my music is only one: to communicate the joy, love, depth and the dignity of the Spirit. 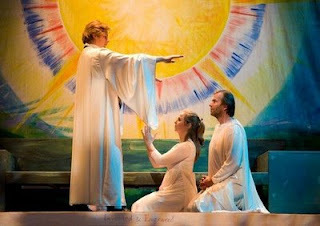 This is what I feel during the inspiration, creation and performance of the various pièces. 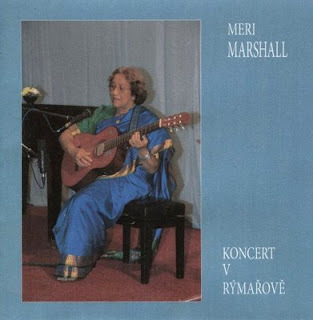 I thank Shri Mataji Nirmala Devi again and again for the inspiration, the joy and the support She gives me in making music……and not only for this! 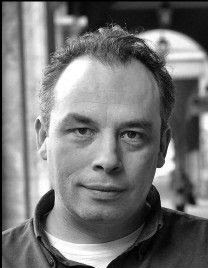 What says Matt Malley about recording? Recording happened here at the LA Ashram studio over a 3 day period in ‚08. It was blissful. We would record a Qawwali song, then go down to the main house for the spiciest curry lunches in the world made by our sisters and wives. My mouth was on fire and it was all part of the experience of music and food. Singing in the dining room, eating, laughing. Then back to the studio to record another one. It´ s the way music should be made – light, happy and blissful. We recorded everything live and the only overdubs were my (amateur) harmonium. Right at the end of our 3 day recording session, there was a ring around the moon and we all felt that it was an auspicious sign. One member of the band took a photo and we included it in the artwork on the inside of the cd jacket – it doesn't look like the moon but it is.After the printing costs of the CD are made back, we are giving 100% of the proceeds to the Canahojarie Expansion Project, for the Canahojarie school in New York. Don´t forget to vote ! LITTLE GUIDE TO USING THE CD!!!! Raga Todi is a morning Raga and works best for our morning meditation. 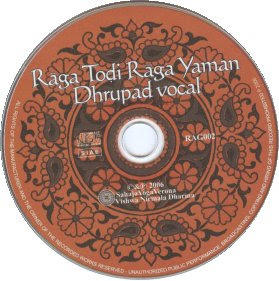 Raga Yaman is an evening Raga, to be used in the same way. 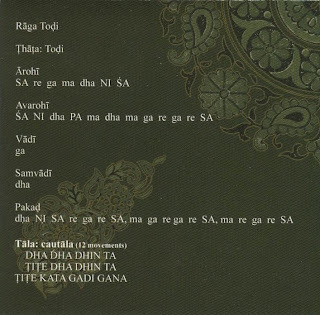 Tracks 2, 3 (Raga Todi) and 7, 8 (Raga Yaman) are for the practise of the' song in meditation. Give yourself bandhans and raise the Kundalini, sit on the ground with a straight back, relaxed on your pelvis. It could be better to place a cushion under your Mooladhara, so that the weight of your body is pushed forward a little. With the stomach relaxed but firm (not flabby !!!! ), put your attention in your Nabhi and imagine making the sound from the Nabhi. Start the CD from track 2 (Todi) or 7 (Yaman). In tracks 2 and 7 after the ascending scale Arohi and descending Avarohi, every Svara is sung twice, the second time at a lower volume so that you can repeat it. In tracks 3 and 8 however, groups of Svara are repeated twice so that you can repeat a whole group when the guiding voice repeats it at a lower volume. Together, these groups of Svara form a Calana (in English: „chalan“). When we sing or play a Calana of a Raga it is as though we are drawing the salient points of a human figure. Every element or line is indispensable to identify the subject (Raga Sketch). So the Calana are like the minimal phrases needed to have a picture of'„'a particular Raga ". The development of the Calana is the Alapa, that, relative to the Calana, is like a painting finished with colours insteated of merely outlined. 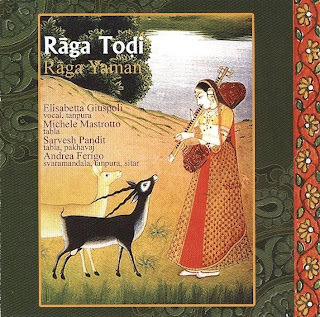 Whereas tracks 5 and 6 (Raga Todi) and 9,10 (Raga Yaman) represent a "model of the minimal execution of the Raga“, in other words, a more developed Alapa and a composition with percussion and variations. They are just for listening to. Track 1. 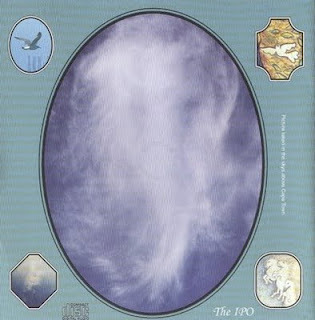 „Sarasvatí Vandana“ is an invocation to the Deví in the form of „Shri Saraswati" and the lyrics can be found in the Mantra Book. B. For musicians who want to deepen or become aquainted with the language of the Raga, every track is important. A first usage is the same as described in point A. Once you have mastered the „basics“ of these two Ragas, you can start to apply the elements (Arohi, Avarohi, Calana) to your musical instrument when you pratice. Tracks 4 and 9 are for everyone (musicians and non) to learn to follow the tala (rhythmic cycle) of the percussion alone and together with the compositions. The method used is similar to that learned from our teachers at the Conservatory. That is to say, the Indian approach „Guru Sisya Param­para“ combined with the support of the CD to learn in the absence of a teacher. We recommend that you do not use tempered instruments like keyboard, piano or harmonium. Try the "Svara" inside yourself, and not outside with the keys of these instruments. 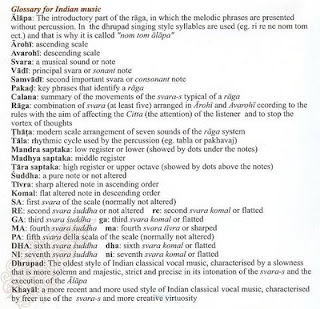 Indian music was not created on them, which are really of Western origin. The scales of both Raga contain sounds (frequencies) that cannot be ascribed to Western tempered scales or jazz styles. 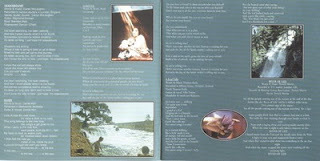 Finally, in the CD booklet, you will notice some differences in the writing of words that we in Sahaja Yoga are used to reading, i.e. 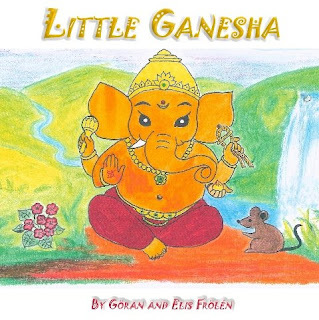 Sri Ganesha instead of Shri Ganesha. This different way of writing is an example, because all of us get to know, a little at a time, the sounds of the Devanagari alphabet in which Hindi, Marathi etc, as well as Sanskrit, are written and spoken. Normally we write these sounds using the letters of the English alphabet, that has 26 letters (instead of the approx 52 of the Devanagari !). But, in this way, we lose many of the sounds of those languages. Just think of mantras and their (even subtle) meanings. It is a new awareness. Some years ago, it seemed to us that Mother exhorted us to learn Hindi, even the basics, and to learn the most important bhajans and prayers by heart. Some of us are trying!